Hello, fabric lovers! We're continuing to share our Dreamscape Block Blog Hop today. It's Friday! 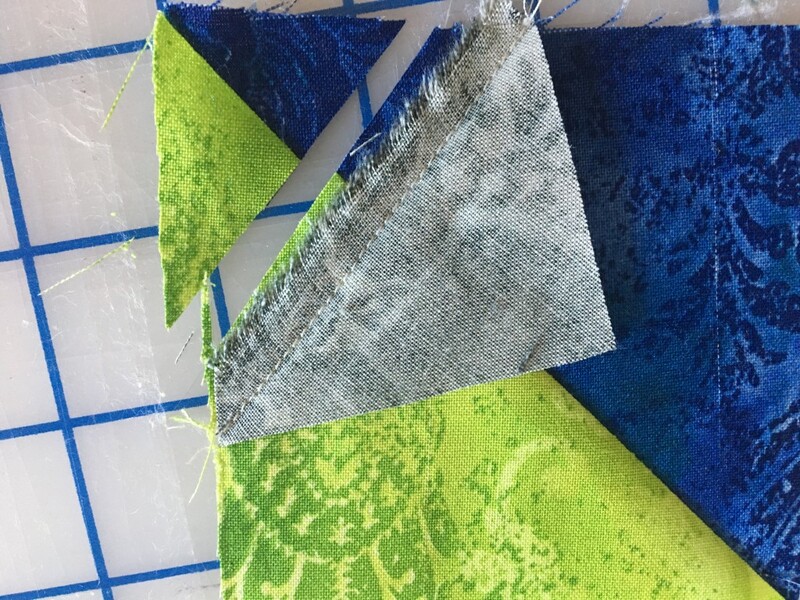 ...and the fourth day of seven different block tutorials for you featuring our luscious Dreamscape prints; we'll be featuring a tutorial each day through next Wednesday (we're taking the weekend off!). 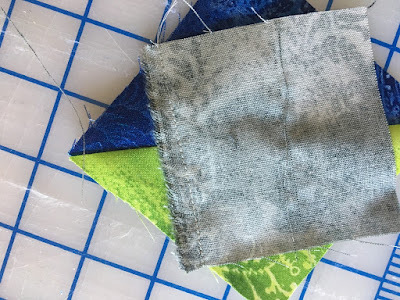 For this blog hop, we selected a six-color palette to play with: Navy, Cloud, Lime, Grape, Daffodil and Lead. You'll love the variety of blocks our designers have created! And make sure you enter each day's giveaway for a chance to win fat quarters of these six Dreamscape prints! Enjoy! 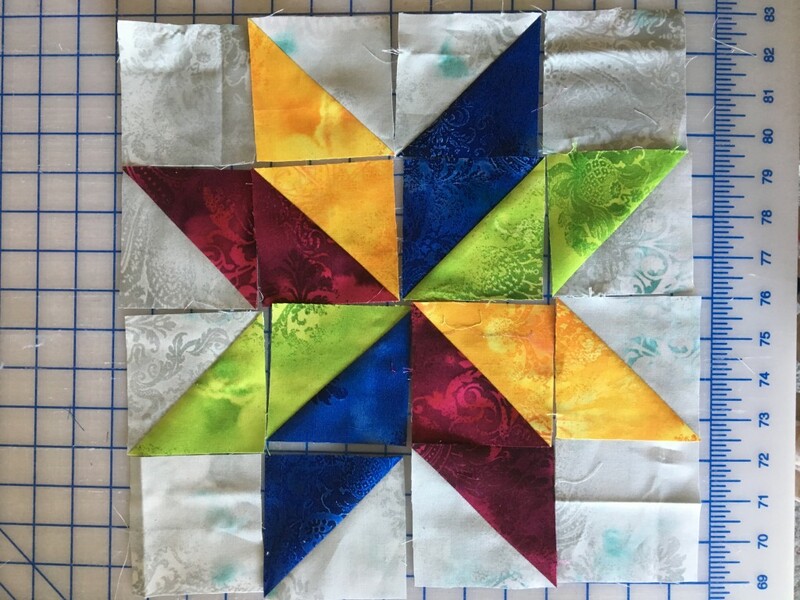 Today, Kristen from KD-Quilts is here with her twist on a traditional favorite block. You'll love how it shines with these bold colors! After you read through the tutorial, head over to her blog to enter to win a bundle of these six prints. Hello, everyone! 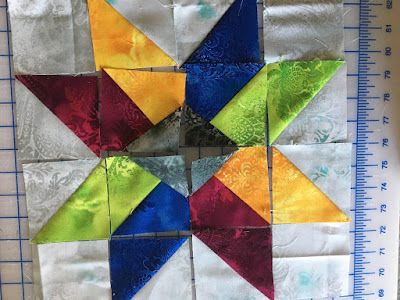 I'm very excited to be back here on Benartex's blog to show you an easy 12 inch quilt block using their Dreamscape line. I wanted a block with larger pieces to showcase these fabrics, but I also felt they needed something as bright and bold as they are. I came up with what I am calling Star Flower. 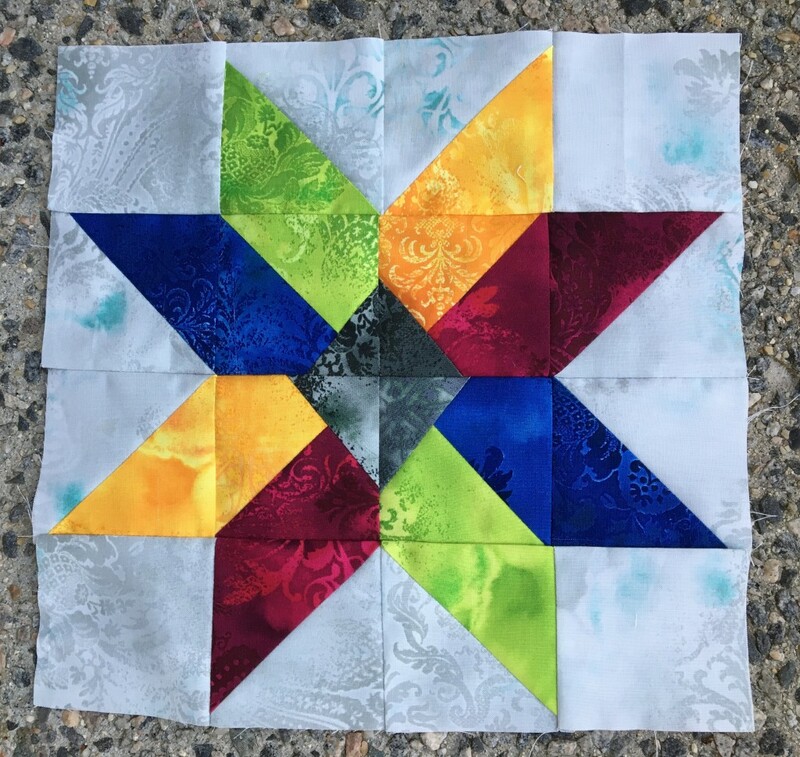 A little twist on a very traditional quilt block. This block consists of a few half square triangles. I like to make all these first. You need to make 1 set consisting of a background square and one of the colors. Pair together one light gray with one lime, one light gray with one blue, one light gray with one gold, and one light gray with one magenta. (Making one set of half square triangles, with a background square and a color square makes two finished squares). You will then be making a half square triangle set with two colored squares. They will need to match up with the layout. Pair together one lime with one blue, and one gold with one magenta. The easiest way to explain this is to show you with a picture. Trim all squares to 3.5 inches. This is the layout of the half square triangles. Are you with me so far? Good! This layout is a very traditional block and I wanted it to be more Flower-like and more me. You will be modifying the four units in the middle. Be sure to note how they lay for this part or else you could be having to make more half square triangles....trust me, I know! Place a black square on the inner most corner of one of the inside squares. It will cover both colors. Now with this part you can make your centers as wonky as you would like by changing the angle of how you lay the black square. Sew 1/4 inch away from the edge. Trim the bottom square to 1/4 inch. Recut the square to 3.5 inches--you'll have one black corner now. Once you have done this for all four inner squares, you are ready to assemble the block. Leave the block laid out next to your machine as to not mix up the order or direction everything should be sewn. All black corners should be pointing to the center. That's it! I hope you enjoyed this twist on a modern block. 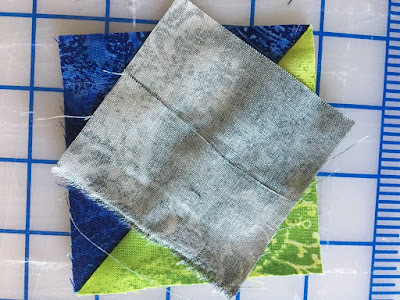 Thank you to Benartex for having me take part in the Dreamscape block blog hop. These fabrics were so bright and lovely to work with! Thanks, Kristen! Head over to her blog to enter for a chance to win a FQ bundle of the six Dreamscape prints you see here. I follow Sew In Love With Fabric by email and by Bloglovin'. The designers on this Blog Hop have provided some excellent tutorials showcasing Dreamscape fabrics. Thank you so much for the opportunity to win a spectacular prize! Those colors make this star a big winner. Wow! The Star Block is so gorgeous in these fabrics. I think this is my favorite so far. This star flower just might become a Thanksgiving weekend project. Another great block. Thanks for the great content. Very pretty block! 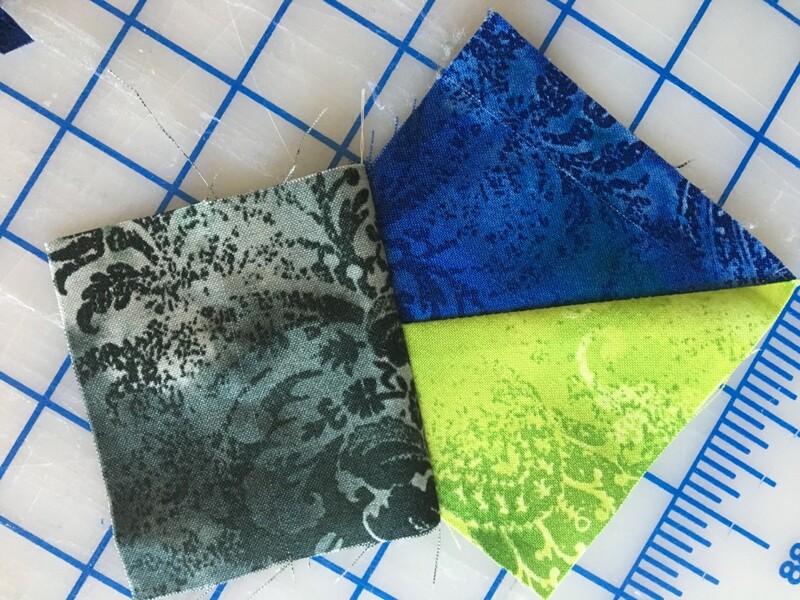 These fabrics are great colors; LOVE THEM ALL! Having fun with the block hop. I love this block. Thank you for the tutorial. Very pretty block. Love the star! Your block is beautiful! And I loved your previous post about memory quilts. Thanks for sharing. I like prints and tone on tone blenders. 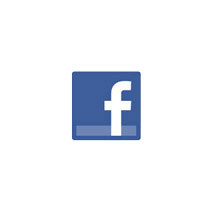 I follow Benartex via Facebook and you via email. The star looks very effective in these beautiful fabrics. There have been some very nice blocks on this hop. I'm going to give this one a try. Very nice. I really like the dark center. I love the star with these fabrics - very cool! I do really like this fabric--such vibrant colors! Great design and fabric combo! Great block! Thanks for the pattern. beautiful block. really enjoying all the fun.